When we practice yoga, we know from experience that it is a journey of transformation and integration – from scattered energy into focus and resolve; from uncertainty to remembrance; from sense of separation to wholeness. There is an alchemy in this combination. The body prayer becomes real. 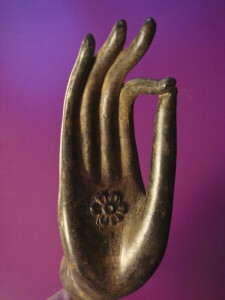 Mudra are a gateway to connecting with and exploring The Mystery of Being, whilst cultivating specific states of consciousness. We can harness the power of Mudra whilst in meditative or restorative asana, or weave them into our vinyasa flow, for a more potent practice. Self- expression/redefining, Inspiration, and Invocation. A morning of warming, uplifting Hatha yoga-flow sequences to spark the creative spirit, and keep the bones jigging through winter….followed by an afternoon of deep Restorative yoga; let go and fall apart safely, gathering yourself up with freshness and resolve. In contact yoga/partners yoga, another being comes into the conversation, requiring enhanced listening, sensitivity and trust. We find increased challenge with balance, when to push, when to yield, and poses are experienced in fresh perspective. There is the energetic motivation to move beyond our habitual limits, the mutual grounding/support providing the possibility of deeper release….and while there is a playfulness in connection and exploration, there is also a greater depth in meditation and breath work. Over the years I have found that bodywork and yoga complement and deepen each other. This day will involve a basic introduction to the concept of meridians as used in Shiatsu and Acupuncture, and then applying this in Yogasana. In the afternoon workshop, working in pairs you will learn a hands on simple Shiatsu massage routine, which is profoundly relaxing, and a wonderful gift to take away and spread the bodywork love amongst friends and family. This is not a time for exuberant accomplishments, but a time to withdraw, conserve, and nurture. In these darker months, the subconscious realms become stronger, more energy is available for visioning, remembering, and dreaming…. It is a time for incubating seeds of long-term plans as we connect with our deeper selves..
An extended session of Hatha yoga flow yoga infused with breath and presence. 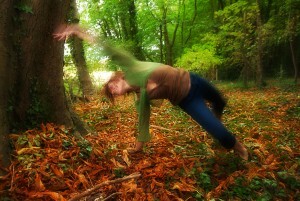 Warming, strengthening, slow and steady flows, drawing fire into the belly and nourishing the heart. Meditations on the wintering process. Extended Yoga Nidra. Deep rest. 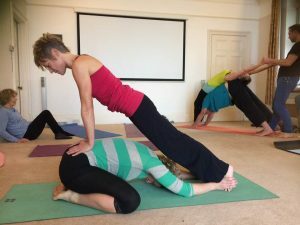 A morning of energizing, playful, and deeply relaxing contact yoga, with Sophie Shenstone – connect with your breath, play with balance and weight transfer, grounding and stretching, mutual support and trust. The meditative aspects as well as the toning and stretching aspects are heightened when yoga involves two beings. Shared lunch in the tranquil, leafy grounds. Everyone brings a dish to share. Afternoon workshop learning a hands-on Integrative oil massage routine, from Leonie Watson (Leonie Watson.com). Bring your partner to this day for a lovely pre Christmas treat, and take your massage skills with you to cosy up in the winter months. Take a laminated crib sheet away with you for reference. When we recognise the turning of the wheel, we acknowledge the flow of energies around us, and are supported by this flow rather than struggling against the current…. Morning Yoga Session: Stoke your inner fire with Pranayama and Bandha, as the energies of Nature start to withdraw…Warming, strengthening vinyasa combined with Mudra and breath, to harness the flow of intention, feel grounded and steady amidst the seasonal shifts, and boost immunity. Afternoon workshop: Restorative Yoga – learn the art of total relaxation. 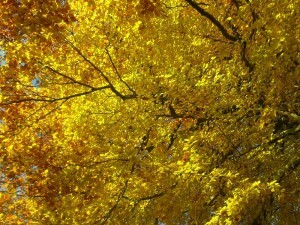 embracing the wisdom of Autumnal energies, and re affirming our connection with the natural cycles. All yoga practice helps deal with internal negative reaction and STRESS. engaging the rampant mental energy rather than wondering what to do with it! 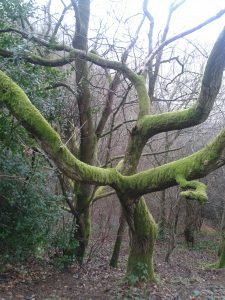 Winter is partly about hibernating, cogitating, dreaming, pulling in the tentacles, gathering inward, being kind to ourselves when we have less energy or feel run down…. 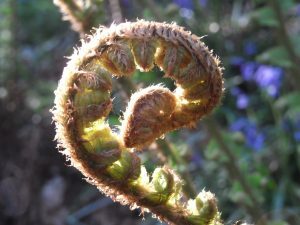 As we come out of Winter, there is that new surge of hope and verdancy, new shoots pushing up, raucous birdsong, the untarnished emerald of tender new leaves…. Nature is being reborn, we are actually here to see and feel another Spring…How can we not respond to this with a stirring of hope and renewed engagement? aligning Willpower and Direction, with Surrender. But within this Surrender, the promise of Spring is that we have our own path, our potential for wise evolution, our own dreams to manifest…and we have renewed energy to use wisely. Just as the Horse Chestnut Buds burst slowly and surely and more and more proudly, out of their sticky sheaths…..their leafy hands reaching out into their destiny…so we have our own path to co create. As we recognise the turning of the wheel, we sense the flow of energies around us, and are supported by this flow rather than struggling against the current….Stoke your inner fire with Pranayama and Bandha, as the prana in Nature starts to withdraw…A warming, strengthening, yet releasing Hatha Yoga flow, aligning with earth, roots, gravity, bones ……acknowledging our sense of ancestors/roots/creature-ness….stepping into our place in the cycle…..yet finding that deep space of unconditional Presence, where the Question is no longer a Question…beyond the Bones! A morning of Hatha Yoga Breath Flow and Meditation with Sophie Shenstone, and after tea break a Nature Art taster with Ruth Wheeler. Poetry, Flow, Breath, Creativity, Strength, Space, Reflection, Challenge and Release. £48, or low income £38, or concessions £30 (contact me for concessions) BOOK NOW (choose ‘Retreat Day’ from drop down menu below) Advance bookings only. The last yoga Tuesday of the current year, I’ve decided to make it a bit special for (nearly) Solstice…some of you are already booked on, so no need to do anything, just turn up as usual and enjoy!. Others, if you would like to join for this session, please let me know IN ADVANCE. The Intermediate group only has room for a couple more folk, so book quick! The 8pm group has spaces, so if you want to drop in to this candle lit session please book here (check with me first if you want the 6.30pm session as it may be full). Drop in price for this session is still only £12 drop in to regulars or £15 anyone chancing in for a one off dose of Strength, Peace, and Ambiance. Morning of warming, uplifting yoga-flow sequences to spark the creative spirit, and keep the bones jigging through winter….followed by an afternoon of deep Restorative yoga; let go and fall apart safely, gathering yourself up with freshness and resolve. 10.30am -4.30pm, Marshfield, near Colerne, Wiltshire. 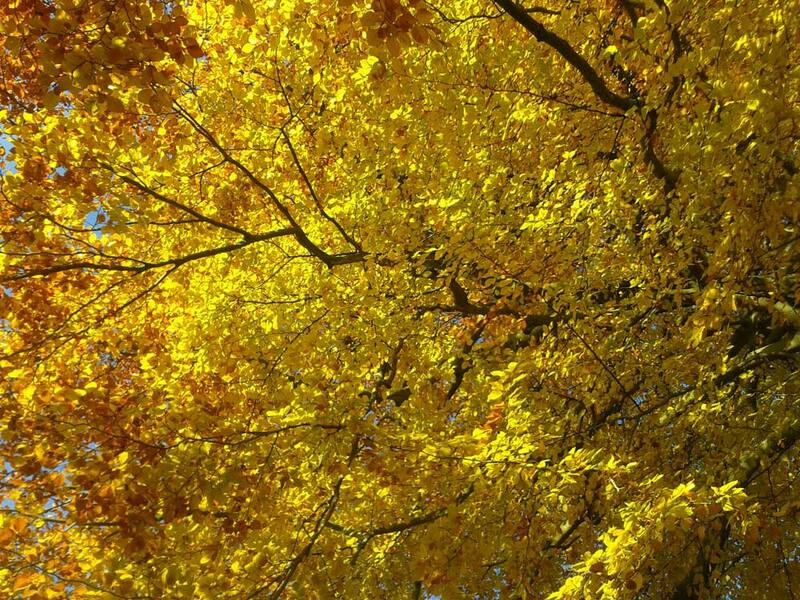 Bring on the beautiful Autumn, the teachings of release to earth, plumbing our depths, as light dims, leaves become radiant- then fall, and energy moves inward. 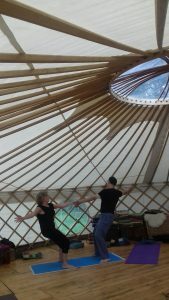 The workshop works well for couples, but equally well for yoga buddies, so you don’t have to come as a pair. 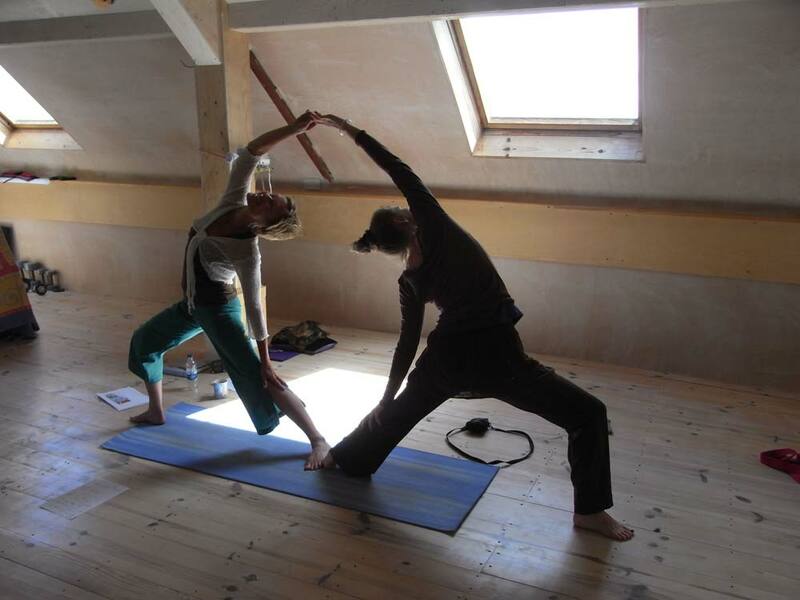 Next yoga retreat day in Marshfield is Sunday 8th March. VENUE – warm, light, spacious, ambient, delightful converted chapel, with wooden floors and underfloor heating. We can call on the energies of Imbolc which continue through March since the beginning of February, harnessing the power of the returning light, to gestate visions and sow seeds of intent. We can feel the brokenness and allow it to teach us. A day of Hatha yoga, shared food, reflection, visioning, and restoring. Morning Hatha class balancing Restorative postures with Dynamic flowing sequences. Afternoon workshop including restorative yoga, partners work, meditative techniques to clear the cluttered mind, accept the broken feelings, harness the potential energy of the returning light, and spin it off in the right direction for the coming year! Let me know soon if you wish to come; advance bookings only. A breath filled 2 hour Hatha Yoga class for a strong and flexible body/mind, bringing in flow, creativity and sensitivity, celebrating the expansive energy of Summer! Afternoon contact yoga workshop, sociable, uplifting, energizing, but also balancing and healing….the mutual grounding and support of contact yoga helps to take you to a deeper level of release, and invites you to explore your edges, in a sensitive and playful way.